On September 14th, 2003, the Whiteside County Airport Board inducted three men into its newly created "Hall of Fame". The men inducted are pioneers in aviation and influenced the future and creation of the Whiteside County Airport. Joseph H. Bittorf, for whom the airfield is named, took an active role in developing a local airport with its present location south of Rock Falls. Additionally, there is little doubt that our county enjoys an excellent facility due to Bittorf's efforts in securing a commuter service. With the commuter service, came a long runway (longer than the available landing distance at Chicago-Midway), a state-of-the-art instrument approach facility and an on-field weather reporting station. The September/October 1985 issue of Illinois Aviation, published by the Illinois Department of Transportation Division of Aeronautics identified him as "the founder of Whiteside County Airport, as key organizer of the Illinois Department of Aeronautics and a co-founder and charter member of the Illlinois Public Airports Association. He also was inducted into the Illinois Aviation Hall of Fame in 1985." Robert "Smiler" O'Rourke was in love with flying from boyhood on. He was said to be at the airstrip every day washing airplanes in exchange for his flying lessons or an hour of airtime. He also helped estabablish the local airport authority in 1946. O'Rourke supplemented his day job with jaunts to Pennsylvania to bring home new airplanes for pilots in the area. "I'd get on the bus here and go to Lockhaven, PA," he said. "To refuel on the way home, I'd land near a gas station. Back then, I filtered the gas with a piece of chamois. I didn't fly after dark, so I'd tie the plane to a fence at night so it wouldn't blow away and I'd sleep under the wing." In 1942, the military was desparite for flight instructors for a Texas air base. O'Rourke was one of them, teaching officers for the Air Force and American Air Corps. He also ferried airplanes for the Air Force. The painting, "Lend-Lease Cobras" by painter Randal Compton, depicts a P-63 Kingcobra and a P-39 Aerocobra in formation along the Alcan Highway route near Black Rapids Glacier in Alaska. A copy of this painting hangs in the Main Terminal at the Whiteside County Airport. Lt. Robert J. "Smiler" O'Rourke, assigned to the 7th Ferry Group at Gore Field, Great Falls, Montana, flew 42 trips to Fairbanks, mostly in P39s or A20s. He made one round trip in 27 hours! He remembers, "We carried a briefcase, maps, one pair of socks, one pair of shorts, and that was it! My parachute was stuffed with books of matches, salt, a Very pistol, and about thirty rounds of .45 ammo for survival." When Ozark Airlines set up business at the Whiteside County Airport in 1962, O'Rourke Flying Service was there to greet them. His career spanned 50 years, from 1934-1984. Part of the airport drive has been named in his memory. Aviation pioneer, Eugene Jacoby was born in Moline in 1906 and came to Sterling in May 1930. Jacoby was owner and operator of the Sterling Airport when the first airmail flight occured on May 19, 1938. He obtained he pilot's license in 1928. His private pilot examiner's license though the Department of Civil Aeronautic Administration was number 336. Among Eugene Jacoby's students was his son, the late Earl Prince, founder of Prince Castles restaurants, and well-known sports writer, Harry Kid. Eugene Jacoby was instrumental in starting the Sterling Airport, the Civil Air Patrol, and supported the establishment of the county airport where he taught flying lessons for a number of years. In November of 1946, after serving in the Army Air Corps, Kenny partnered with Darryl Wolfe in applying to the Illinois Department of Aeronautics for an operating certificate to operate an airport two miles south of Rock Falls. The partnership of Zimmerman and Wolfe promoted the airport until late in 1948 when Kenny took over as a sole proprietor, with wife Marie. Kenny enlarged their fleet of Piper Cubs adding a twin Cessna, and twin Beech, a Waco, and a Stearman. With these aircraft, Kenny operated the airport until 1956 and offered flight instruction including aerobatics, multi-engine instruction, charter service, crop spraying, and also had a Piper Aircraft dealership. Additionally in 1955, Kenny as President and Douglas Harvey as vice president, created Illini Airlines, offering scheduled passenger service to Chicago, Rockford, and Madison. This was the first scheduled air service ever to the airport. In 1956, Kenny sold his interest to Whiteside County, staying on as a manager for the following six months. It is estimated that between 1946 and 1956, approximately 400-500 pilots were instructed at the airport. Kenny never experience a personal aviation accident in his career. Air transportation in that community went from being a novelty to a necessity. Kenny Zimmerman left his mark as an aviator, instructor, and innovative owner of the Whiteside County Airport. A bronze memorial plaque was presented to the airport in June of 1998 and is set in concrete at the base of the airport's flagpole. Born in Milledgeville in 1899, Perry Ports began working at the Sterling Airport in the 1920s. White at that time, his main focus was outside the airport with an automobile repair service. By the 1930s, he turned his attention solely to aircraft maintenance. During the last years of the Sterling airport, Perry would travel bakc and forth from the Sterling airport to the Rock Falls Airport, now Whiteside County Airport, working on aircraft at both airports. This continued until the Sterling airport cloded in 1953. When the Rock Falls airport, owned by Kenny Zimmerman was sold to Whiteside County, Perry was there as its first mechanic and took over for Zimmerman as manager of the Whiteside County Airport. There he rented out two airplanes, worked as a mechanic, and sold fuel. An article from the 1950s, printed in a Sterling newspaper, had this to say about Ports, "He is also one of the oldest pilots in point years of flying of anyone in the area and knows motors and airplanes from A to Z." We are truly indebted to the talents and commitments Perry T. Ports made to aviation in the Rock River Valley and Whiteside County Airport. William L. "Bill" Havener was born in Sterling and always wanted to fly. After three years as a weatherman for the US Air Force, he returned home and signed up for flight training at the Rock Falls Airport as a student of Kenny Zimmerman. Bill trained with "Smiler" O'Rourke for his commecial certificate and multi-engine certificate in Illini Airline's Piper Apache. Although not a career pilot, the Whiteside County Airport has always been an important part of Bill's life. He has actively promoted the airport by encouraging pilots and FBOs. Bill's work with the Experimental Aircraft Association Chapter 410 includes serving as the chapter's president and helping to organize the first of the airport's annual Fly-In/Drive-In breakfasts. Bill founded and was the first president of the Illinois Chapter of the Short-Wing Piper Club. He also founded the Benevolent Order of Bended Blades, which has become an international group that recognizes pilots who have damaged a spinning aircraft propellor without causing great bodily harm to themselves or anyone else. At the time of his induction into the Hall of Fame, Bill was still active as a pilot and deeply involved in all the EAA activities that take place at the airport. View more history and photos on Bill Havener's Page. Leonard Skaggs was born in Greensburg, Kentucky. In 1903 at the age of two, he and his parents moved to Sangamon County, Illinois. While in his teens, he went to work for Illinois Bell Telephone, traveling througout the State of Illinois. In the 1930s, Leonard got a job working for the Electric Department in Rock Falls and later was appointed Superintendent of Municipalities. While Leonord's many accomplishments did much to improve the electric and water departments for Rock Falls, he also did much to aid in the birth of Whiteside County Airport. Also in the 1930s, Leonard decided to take flying lessons at the Sterling airport. He always said there wasn't anything more relaxing than flying and that flying was the best therapy to relieve stress and tension. Since flying was one of the biggest interests in his life, he also helped Kenneth Zimmerman and Darryl Wolf in starting the Rock Falls Airport. It was because of these three men and their combined hours of planning and work that the Rock Falls Airport was born. As a reult of this dedication, Ken and Darryl named the Rock Falls airport after him as "Skaggs Field." Leonard considered it a great honor when Skaggs Field appeared in huge letters across the end of the first hangar at the airport. 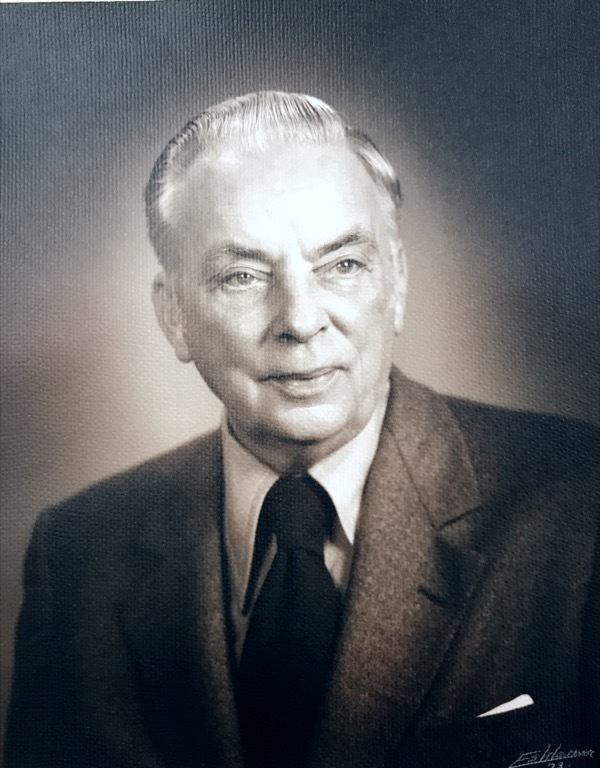 Jack Cassens served as a member of the Whiteside County Airport Board from December 1983 - June 2012, was secretary from January 1984 - July 1989, and chairman from July 1989 - June 2012. For 29 years, he provided dedicated and outstanding service to the Whiteside County Airport. Jack was conservative with airport funds, as if they were his own funds. He also assured the airport's expenses were well within its budget for all the years he served as Chairman. He consistantly gave his time and energy, and oftern his equipment without compensation, because he wanted the Whiteside County Airport to be the best run airport anywhere. The airport thrived under his leadership. As a community minded gentleman, he also served with other community organizations such as the Whiteside County Board, Blackhawk Area Tourism Committee, and the Greater Sterling Development Corporation. Jack also founded and served as a board member of the Community State Bank in Rock Falls. He was a 43 year member of the board of directors for the Palmyra Mutual Insurance Company and was a recipient of the 1988 P.W. Dillon Awared. Jack was very active in federal and state politics and community affairs. Jack was a gentle giant of a man, never seeking recognition, though many thought he was deserving of it. Jack's kindness and leadership was a fine example for those that knew him. Benny Thome, a former resident of Rock Falls and graduate of Rock Falls High School, began his aviation career at the Whiteside County Airport while still in high school. He worked as a line man for flying lessons, soloed when he was just 16, and spent over 20 years in the military. After finishing flight training, Thome was assigned to the 55th Strategic Reconnaissance Wing, Offutt Air Force Base. During his second and third years at Offut, he served as the executive crew copilot for the Commander in Chief of the Strategic Air Command (CINCSAC). In 1969, Thome was reassigned to Ellsworth Air Force Base where he flew as a KC-135 commander and instructor pilot. In 1976, he was transferred to Seoul, South Korea, and served as an action officer with the 314th Air Division, Plans and Programs Office. In 1981, Thome was reassigned to the Air War College, Maxwell Air Force Base in Alabama. Thome was promoted to Colonel in 1982. In 1987, Colonel Thome was appointed to the position of Chief, National Emergency Airborne Command Post (NEACP). In this position, he commanded NEACP under authority of the Chairman Joint Chief of Staff, exercising operational control of the entire Boeing VC-25 (civilian equivalent: Boeing 747) aircraft and fleet including 400 flight personnel who respond to the White House and the Joint Chiefs for Presidential support. 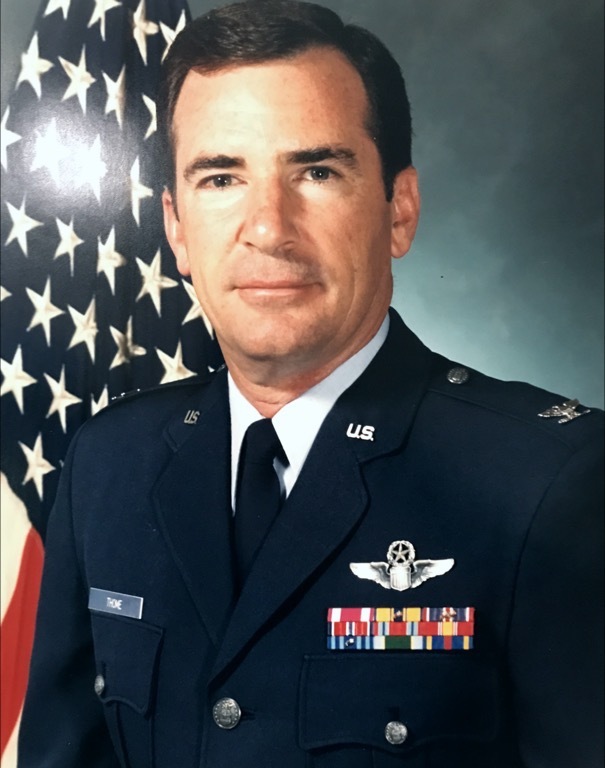 Colonel Thome's decorations include the Meritorious Service Medal, Air Force Commendation Medal with two oak leaf clusters, and the Combat Readiness Medal. After retiring from the Air Force in 1991, Benny Thome went to work for the Illinois Department of Transportation, Division of Aeronautics. His duties included flying the Governor of Illinios. Thome retired in 2004. Hal Christianson had a passion for aviation that was contagious. His involvement at the Whiteside County Airport began in 1954, when the office was a converted chicken coop at the junction of Thome Road and former IL 88. When Airport Manager Perry Ports, Sr. passed away, Airport Board President Joe Bittorf approached Hal to oversee the airport until a replacement manager could be hired. Hal and his wife, Jean, covered the responsibilities until Robert “Smiler” O’Rourke was named manager. In his role as a shop teacher at Rock Falls High School, Hal brought aircraft maintenance, repair, and construction into the lives of many students. He also taught aviation ground school at IDT (now MIT) in Morrison, IL. Hal provided many curious students with their initial airplane rides. Former Whiteside County Airport manager, Jeff Cousins, several military and commercial pilots were among those students with whom Hal shared the wings of flight. Elwood "Verne" Curry was born, raised, and educated in Prophetstown, Illinois. While attending high school, he earned his pilot's license, making him the youngest licensed pilot in the United States at that time. After serving in the Army, Verne attended Parks College in Galesburg where he received his Airframe and Powerplant Certificate. He then went to work for K.P. Zimmerman at the Rock Falls Airport where he worked as a mechanic and earned his Inspection Authorization. Verne worked at several Northern Illinois airports after that and also became a flight instructor. He became FBO/Manager of the Savanna Airport where he did maintenance, flight instruction, and aircraft charter. Verne laster moved to Leaf River where he operated a maintenance shop on the Lung Restricted Landing Area. He gave flight instruction and became manager of the Ogle County Airport. Verne was the recipient of the FAA Charles Taylor Master Mechanic Award. Verne was known in the Northern Illinois Aviation Community as a superior pilot and mechanic. Stan served selflessly on the Whiteside County Airport Board for twenty-nine years, of which five of them were as Chairman. Stan and his wife Shirley came to Morrison in 1957. After a 4-year tour in the Air Force, he served another 9 years in the Reserves, ending with the Illinois Air Guard. His aviation spanned 42 years. He has a Commercial, Instructor, SEL & MEL certificates and is an EAA and AOPA member. He, with his father, owned several planes that were useful in the business, but used mainly for pleasure. The Domack family is very much into general aviation. An aunt back in the late 30’s had a private pilot certificate, his father also had a private pilot certificate and his oldest daughter has a private pilot certificate and Airframe & Powerplant certificate.